Pretty good survival seed if you like all wood options and plenty of ocean for the aquatic update. Only tested on PS3. -The coral reef is pretty big! -Approximately 50% of seed is water and much of it is in the center of the map instead of the edges. -There is one tiny snow/ice biome in one of the corners if you like access to ice. -No mesa, no flower forest, no sunflower fields, no mega taiga, no mushroom island. 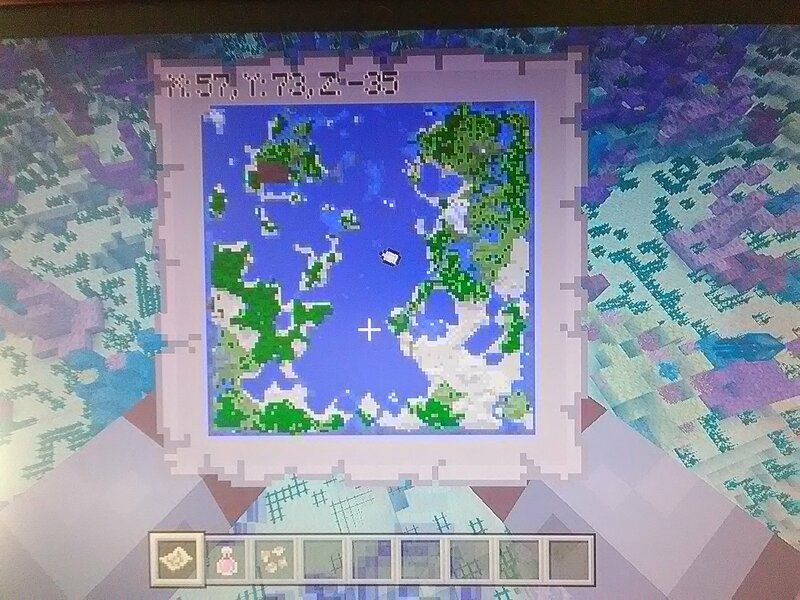 I attached a low quality photo of the map taken with my phone. Hi! No, it was Small. I didn't change any settings from the default settings. Hey there, nope I'm sorry, I did not look for the End Portal. What size work is this?